SKU: N/A. 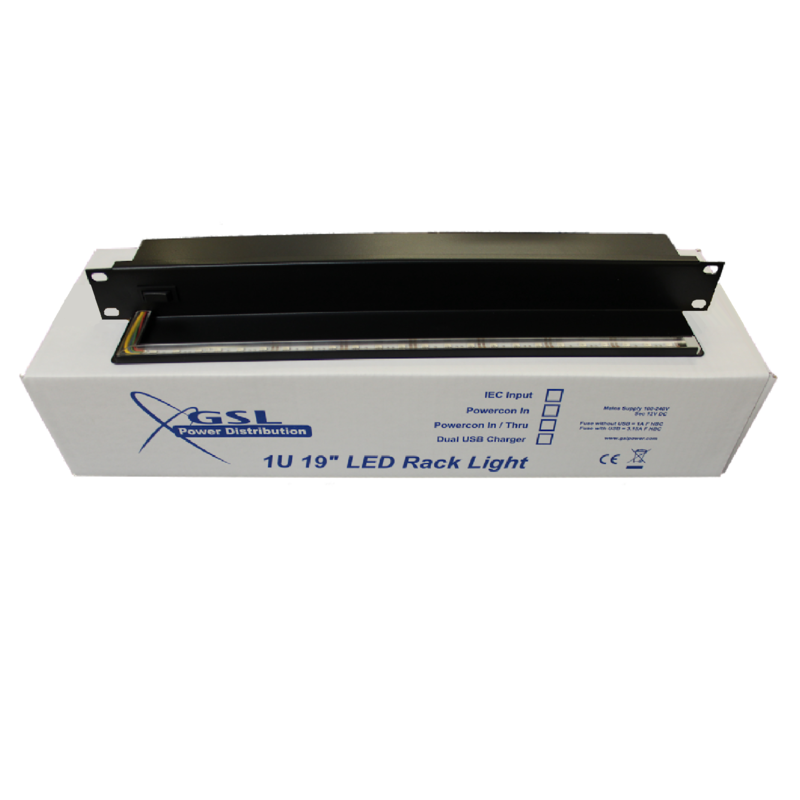 Availability: In Stock Size: 111 x 485 x 45 mm Shipping Weight: 1.2 kg Category: GSL LED Rack Lights. The 1U 19″ LED Rack Light is the item your 19″ rack mount equipment deserves! With a lot of positive feedback this has been a very popular product over the last few years having originally appeared on the PLASA Innovation Stand back in 2011. 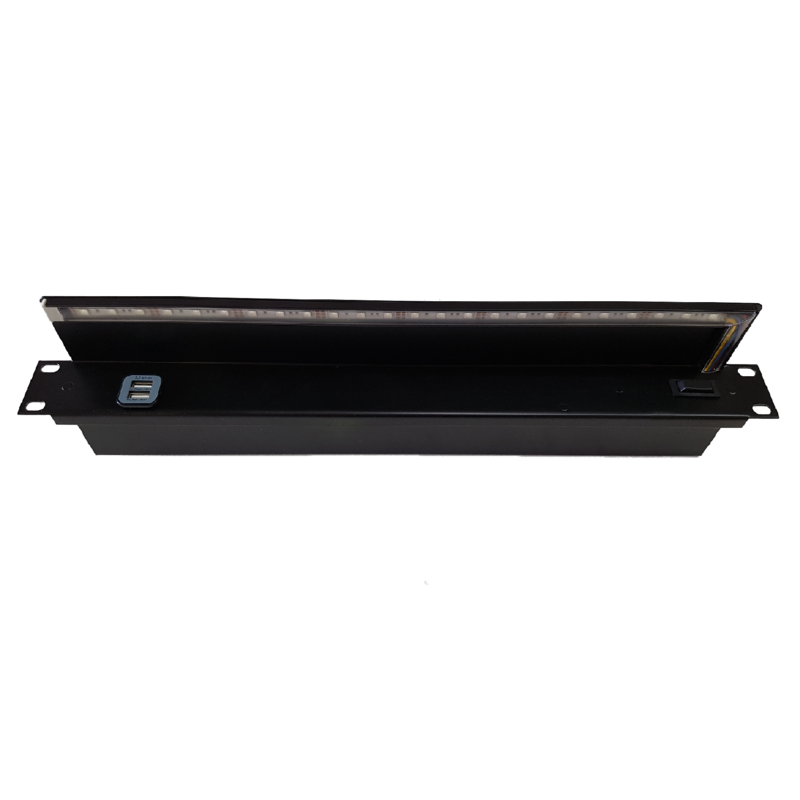 The rack light protrudes out 60mm to wash light over the rack in an effective and efficient manner. 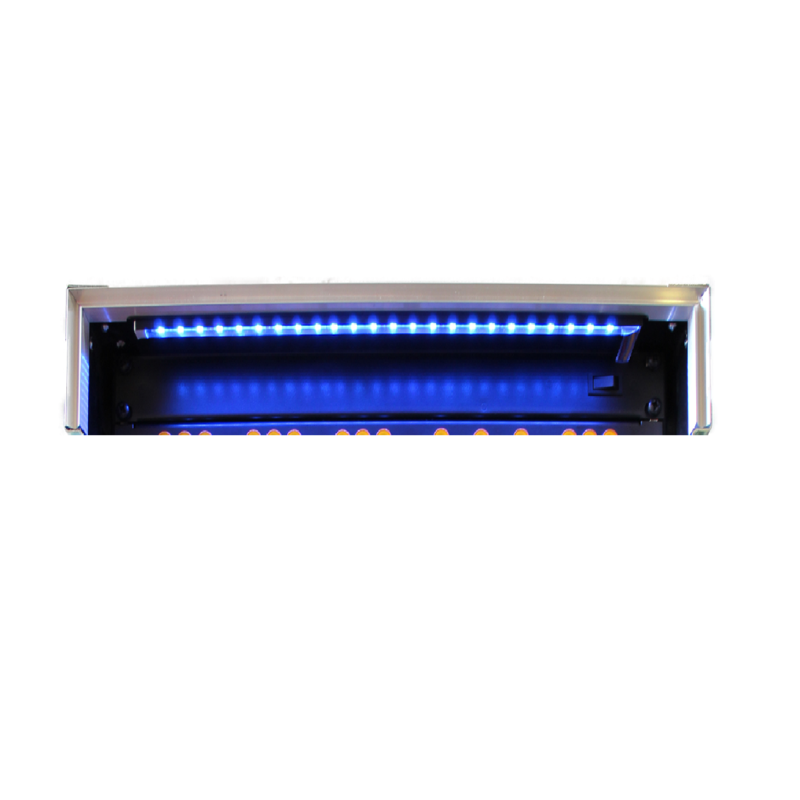 The 3 position switch allows the rack light to be turned off, have a white wash or a blue wash and lasts for approximately 20,000 hours. 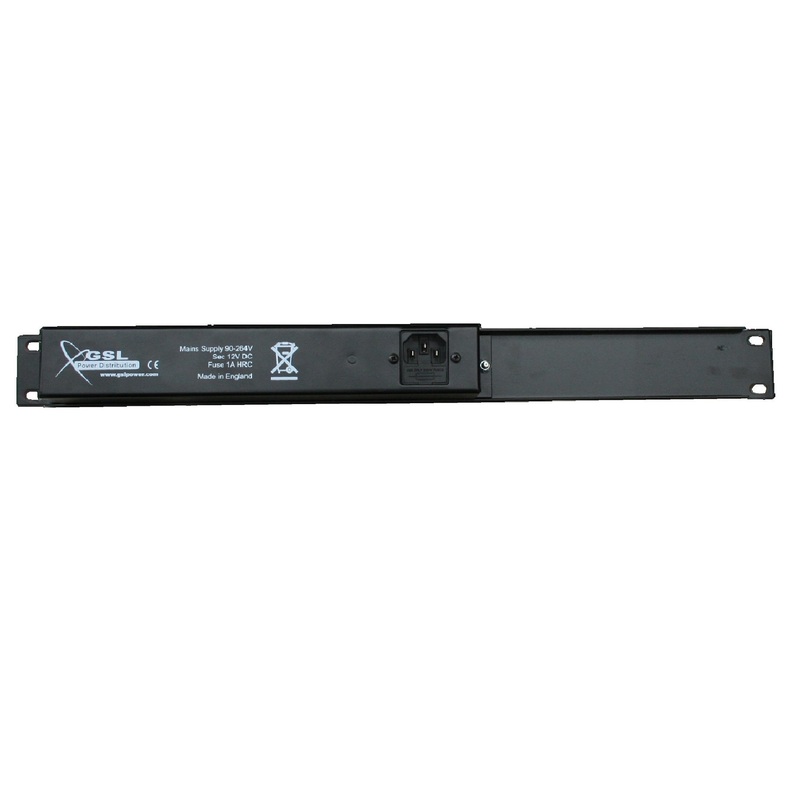 With a Main Supply of 100-240v (Sec 12v DC) this extremely long lasting light will produce very little heat. There are three Output options which are an IEC Input, a Neutrik Powercon In only and a Neutrik Powercon In & Thru (which allows you to power other items in your rack). 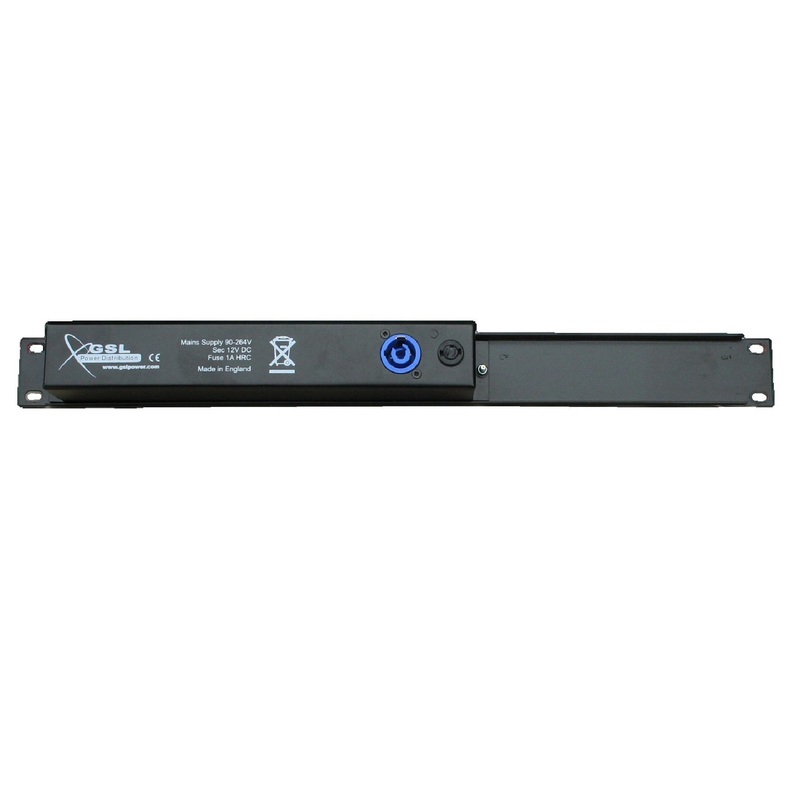 There is also an option to purchase these rack lights with a built in dual USB charger for charging mobile phones, tablets or other USB devices. 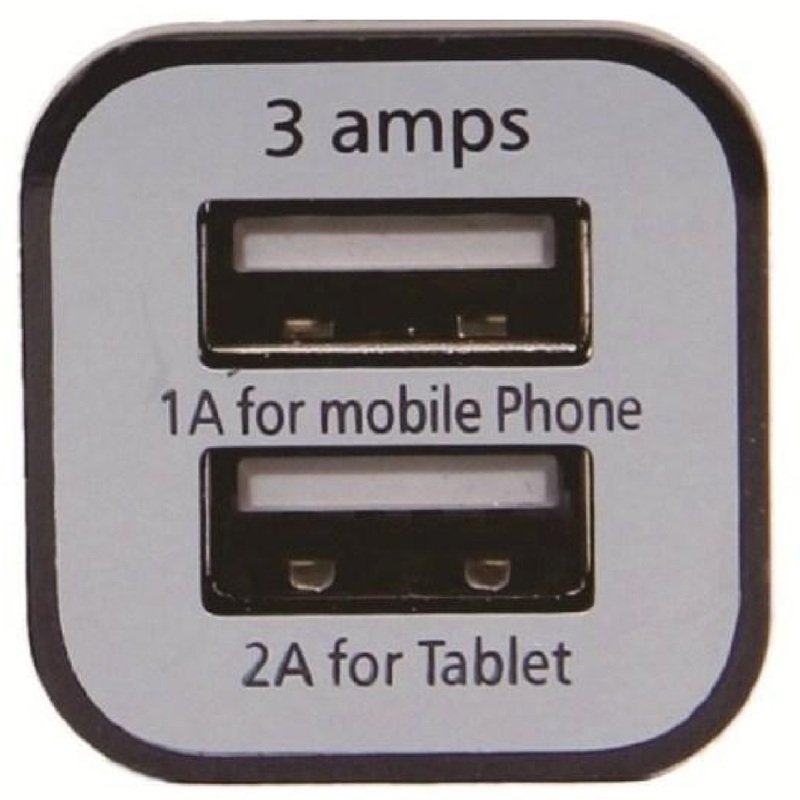 The options with no USB charger are fused with a 1Amp F HBC fuse, while the options including a built in dual USB charger are fused with a 3.15Amp F HBC fuse. 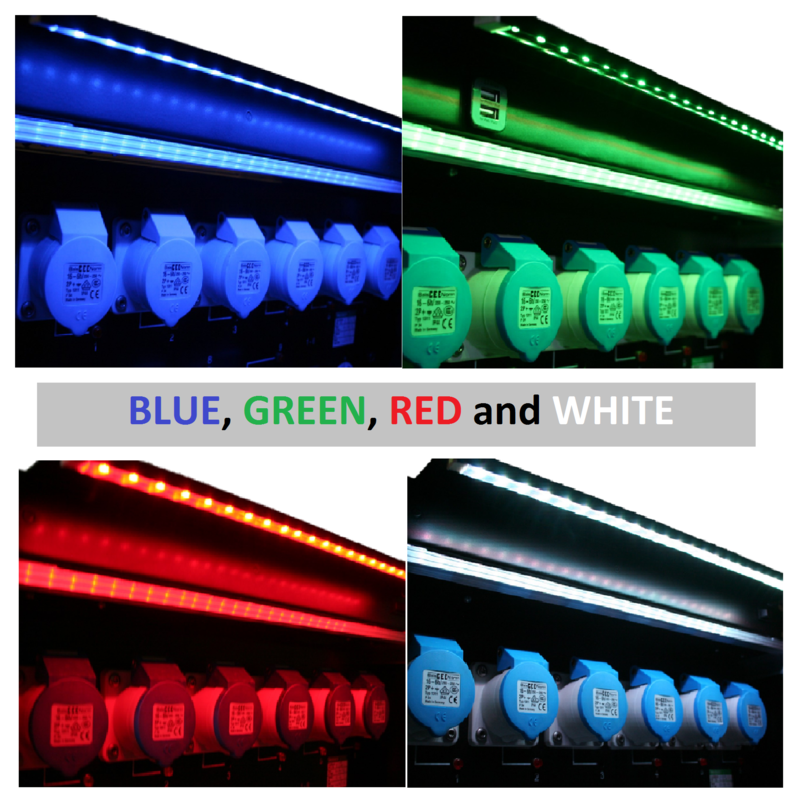 Locking IEC leads and Powercon leads are available on request, as are alternative colours for the wash light if a specific colour helps to match your company colours better! 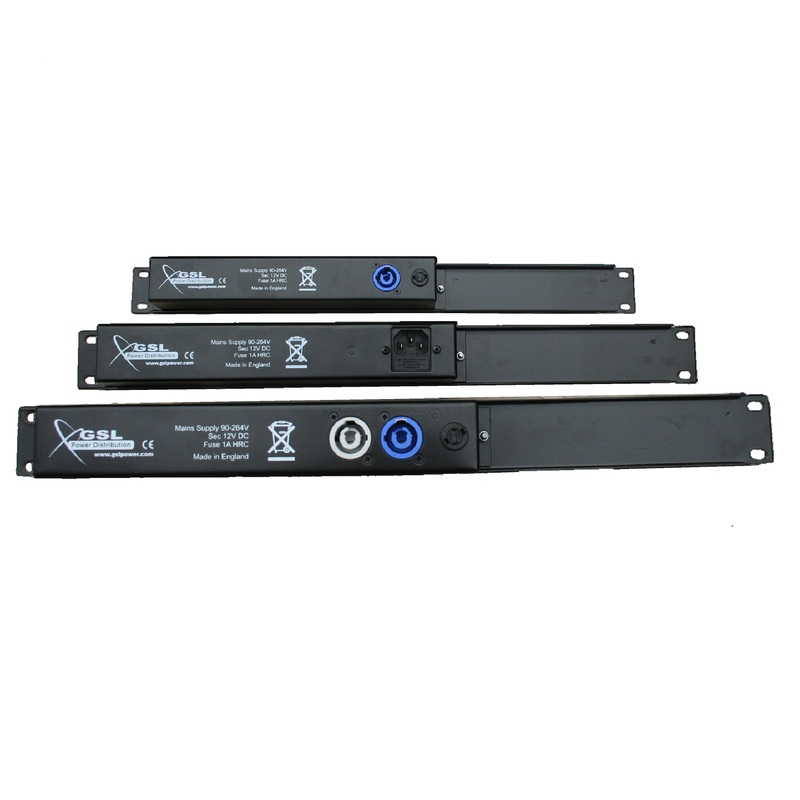 The 1U LED Rack Light is fully screen printed and powder coated black, stoved to a matt finish. 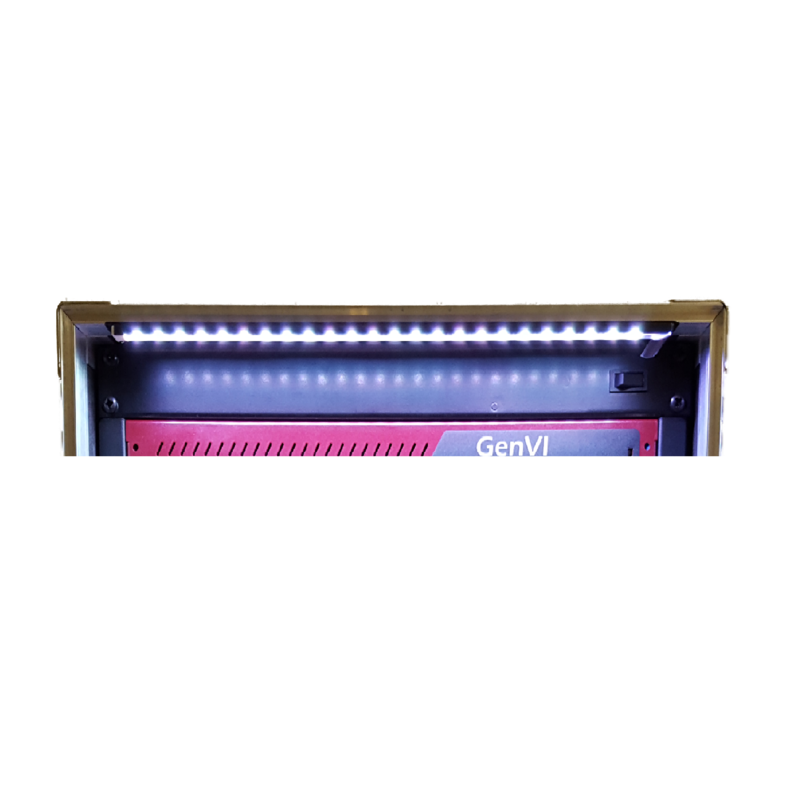 This is an ‘off-the-shelf’ item ready for next day delivery, however we can also personalise the rack light to suit your company colour and add your company logo. Please contact GSL for prices and lead times regarding personalisation. 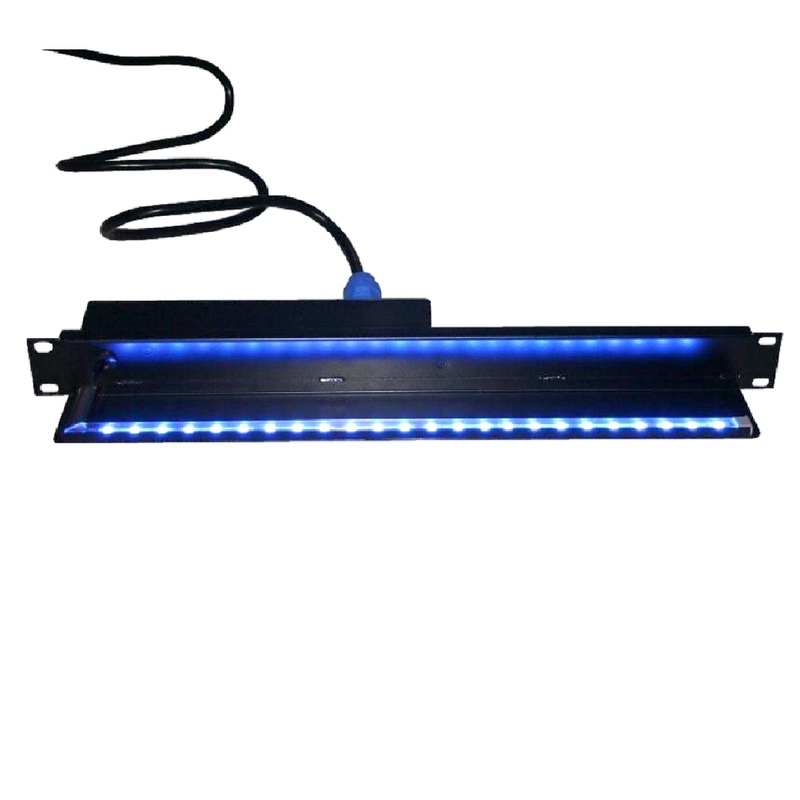 This competitively priced rack light will mean you never need a gooseneck lamp on the job again!